Adding value to NZ homes with contemporary residential glass products and glazing techniques. We handle residential glazing projects, large and small, custom or straight-forward. If its part of the home its made of flat glass, we can in almost every case; source it, supply it and install it. Contact us for a no obligation measure and quote today. Stylish feature mirrors enhance home spaces. Our mirrors can be made rectangular, oval or circular to match an existing theme or on their own make a statement. Haynes bathroom mirrors come in a number of styles and with options. We can mount mirrors off the wall with optional back-lighting, glue fix them into a recess or onto a vanity, or for a simple installation you can alter yourself we have holes srews and polished domes. Our mirror edgeworking can be flat polished, beveled, sandblasted border or a colour border. Precision measured and made for the perfect fit. At Haynes we measure supply and install mirrors to custom specification. If you have a few DIY skills and want to install the mirror yourself, no problem. We do supply only too. We offer a quick turnaround Auckland Wide delivery service. A well designed, well placed frameless glass shower can really open up a bathroom, bringing a feeling of luxury and adding value to your home. There are a number of elements to constructing a shower, so it takes a team with knowledge and pride in their craft to deliver the premium quality showers that really add value to your bathroom. With over two decades of experience we have learnt what it takes to deliver. Care, neat silicon work and fine attention to detail is what you can expect in every Haynes shower. 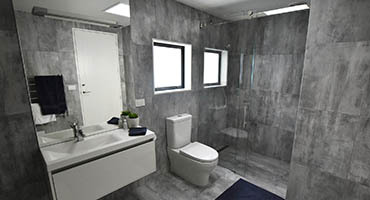 We provide a no obligation, free on site shower measure and quote in the greater Auckland area. Our consultants are always happy to help identify and solve your shower glass and screen requirements. We help guide you through every step in the process. True experts in shower builds, we will help with your vision and find what you want. Bring a contemporary feel to your kitchen, bathroom or living area with specialty glass splashbacks. We live design, love new ideas and thrive on a challenge. At Haynes, we thrive on design. Glass isn't limited to an existence as a glossy flat surface.. We specialise in textures, mirror finish, tints, images and graphics. Combined with intelligent lighting in a kitchen or bathroom you can add a classy contemporary feature to your home. We have over 15 years of experience installing splashbacks in the Auckland area. Our skilled, qualified team have the tools and experience to get the job done right. Hard working and with a friendly kiwi attitude, the team are always listening, ever improving and seeking feedback to give the best service possible. Haynes splashbacks are safety glass and edgework is always top quality and we finish our splashbacks with a tidy silicone seal. 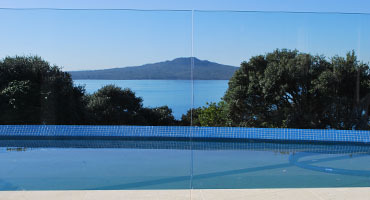 Maintain your unobscured views with a balustrade or pool fence from the experts. A range of styles. Only the best hardware. There are a range of customizable options in our balustrades and pool fences. Most commonly frameless with point, post or channel fixings. Extras include can include handrails, manifestations to the glass (tinting, frosting etc). Pool fence gates are fitted with quality premium harware. Recent legislation has seen the prohibition of certain styles of frameless balustrades. We are up with the play and our frameless sentry glass balustrades meet all of today's safety requirements. Contact us for a free on site measure and quote today. At Haynes we specialize in window glass replacement. We remove and dispose of the broken glass fragments and install new glass without replacing the frame. Need glass for a new window or frame? No problem, we can install or supply the glass for that too. If you are wanting to incorporate a cat door. We supply and install the catwalk brand. We supply glass direct for table-tops or general DIY. Many styles of glass are available. If it's something unique, give us a call. We can more often than not, source it. We have an online store for ordering and purchasing common glass types for delivery to your doorstep or collection. We offer our high spec products in packages from measure through to installation. Able to source custom glass and hardware from around the country, we thrive on a challenge. Got a new renovation or glazing project in mind..
We don't just follow the old trends. We love to listen to new ideas, discuss possibilities or improvements and expand on them. We realise you often need to take a break from work or a busy schedule to meet us for a job or consultation, so we always endeavour to arrive ON TIME. Faced with any challenge, we apply a combination of experience, intuition and logic to come up with our glazing solutions. With a young creative team of reps and designers, we jump at the opportunity to go ultra modern and contemporary. We thrive on the new and love a challenge. Members of the glass association of New Zealand (GANZ), we take pride in our standard of safety and always glaze in accordance to the latest NZ building codes. We can provide a PS1 for any of our projects. Our glass paints are eco friendly and we avoid solvents wherever possible. We endeavour to ensure the building and renovating process is rewarding and enjoyable. We love what we do and love to share that enthusiasm with our customers.